Happy new year to all faculty and staff! I hope you had a chance to relax and re-energize during the holiday break and I wish you much success in 2018. My time is focused on an intensified lobby for funding for OCAD University prior to the provincial election. The goal is to establish a wider base of partners, industry collaborations and donors; to continue to press for design policy and support; and to refresh cultural policy at all levels of government. As well, I am in conversation with the City of Toronto on its future cultural and economic development policies, Smart City initiatives and overall support for public art. 2018 launched with a stunning new exhibition at Onsite Gallery, The Sunshine Eaters. Congratulations to Onsite Gallery Curator, Lisa Deanne Smith, who curated this extraordinary exhibit, to the artists, to Francisco Alvarez, Dorene & Peter Milligan Executive Director, OCAD U Galleries and gallery staff, and to all who contributed to its success. It was an incredible sight to see a line-up of people waiting to see the new exhibition on January 10, in addition to the over-capacity crowd who came for the inspiring talk given by artists Ebony G. Patterson and Nick Cave, earlier that evening. If you haven't had a chance to see the exhibition, I encourage you to go. The exhibition runs until April 15, 2018. OCAD U welcomed Barry Ace to the university on January 9, as the winter 2018 Nigig Visiting Artist-in-Residence. A band member of M’Chigeeng First Nation, Manitoulin Island, Ontario, he is a talented artist, curator and dancer and he served for a number of years on our Aboriginal Educational Council. Barry is holding an Open Studio visit at 205 Richmond W. on February 1, all are welcome. This residency is hosted by the Indigenous Visual Culture Program at OCAD U, supported through the Ministry of Advanced Education and Skills Development targeted Initiative Fund. Congratulations to the Faculty of Design for its extensive participation (and that of its alumni) in the Toronto Design Offsite Festival. If you haven’t already, please read the message I sent out yesterday on sexual violence and harassment in our society and on campus. It appears we are at a turning point where survivors are speaking out and making change. I’d like to remind you of the resources available to support those who have been subjected to harassment and gender-based violence, whether students, staff or faculty. As many of you know, we have put out an open call for Indigenous applicants for five tenure/tenure track positions. The review of the applications begins on February 1 and will continue until the positions have been filled. 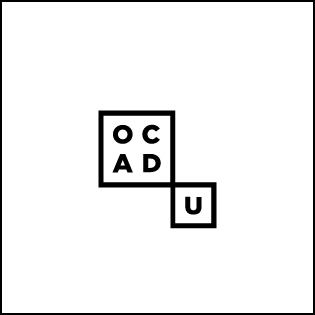 OCAD University was one of the first art and design institutions in Canada to begin a degree in Indigenous Visual Culture, which laid the critical foundations for us to launch this process to decolonize the institution and to recognize, acknowledge, implement and vitalize Indigenous visual culture and ways of learning.